Access exclusive analysis on the key takeaways from CES 2019 & ensure you are the first to understand how new tech developments will disrupt your industry. 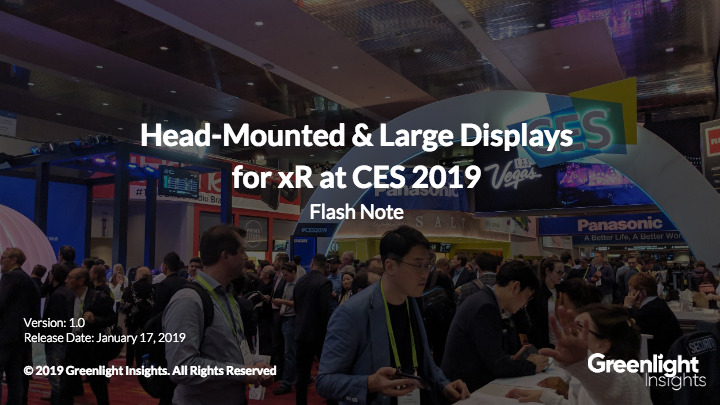 The Head-Mounted & Large Displays for xR @ CES 2019 Flash Note incorporates exclusive Greenlight Insights research, analyst coverage from the mega-event and other trend analysis not available from any other source. This report will provide you with an overview of everything AR/VR from the entire event and ensure you know about the important trends impacting the immersive technology market in the year ahead.